Over the last several years, the Arizona Diamondbacks have had several people involved in running the organization into the ground. They’ve been through managers, having seen Kirk Gibson fired in 2014, Alan Trammell as interim, Chip Hale hired and fired, and, now, having first-year manager Torey Lovullo starting the 2017 season. The instability for this organization doesn’t just start and finish on the field, though. Since 2010, we’ve seen Josh Byrnes, Jerry DiPoto (interim), Kevin Towers, Dave Stewart, and newly-hired Mike Hazen, formerly with the Boston Red Sox, in the general manager role. After winning the 2011 NL West, the Diamondbacks have failed to finish over .500, though they have finished right at .500 twice during that span. Last night, Hazen put his stamp on where this club is heading with a “blockbuster” (if you’d call it that), by dealing Jean Segura (the 22nd most valuable position player in baseball, based on WAR), Zac Curtis, and Mitch Haniger to the Seattle Mariners for Taijuan Walker and Ketel Marte. Segura, 27 on Opening Day, will be replaced at shortstop by Marte, who was rushed to the majors by Seattle at the age of 21 in 2015 out of desperation to fill their shortstop hole with just 377 at bats above AA. He’ll play the 2017 season at the age of 23 and he won’t be arbitration-eligible until after the 2018 season. Segura had much more pop in his bat than Marte ever will, but Marte puts the ball in play and has solid speed, which is basically what Segura was in 2014 and 2015 before he had his second breakout season – if that is a thing – in 2016. 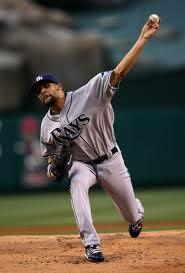 Hazen saved some money at shortstop, while acquiring Walker, a potential ace, for his pitching staff. Walker, long labeled full of potential, could make this deal look silly for Seattle if he actually reaches or fulfills that potential; however, we’ve been waiting on that for a few years now, even though Walker will be just 24 on Opening Day. If he can overcome injuries and become more consistent, a familiar statement for young pitchers, this is an easy win for the Diamondbacks, and Mike Hazen has already proven himself worthy of the job. If it crashes and burns, who cares? The Diamondbacks went 69-93 while Segura was a star in 2016, so it was worth the gamble. Can Walker reach his potential in Arizona? Mike Hazen had a lot more money to work with in his time with the Boston Red Sox. He may need to be a little more creative in landing talent in the desert, but the 40-year-old has a lot of respect in the game and will continue to put the Diamondbacks in a position to be successful, as long as ownership gives him the time necessary to turn it all around. Be thankful, Diamondback fans. Mike Hazen finally has a plan for your team. Paxton missed 102 games last season with a shoulder strain, but, upon returning, he was lights out, posting a 3.19 ERA and 1.31 WHIP over 62 innings and 11 starts, including the stinker in Toronto on 9/22 (2.2 IP, 9 R, 8 ER). He had the same injury that Reds RHP Johnny Cueto had in 2013, but Cueto came back to toss a career-high 243.2 innings in 2014 – so, this shouldn’t hold Paxton back from taking off again. Still, he has made only 17 starts in his brief career, and he’ll rebound from his injury-plaged 2014 and become the No.2 option behind Felix Hernandez in the Mariners’ rotation. 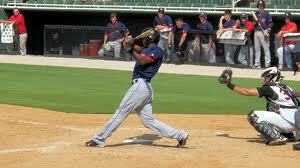 Zunino is much better than that .199 average, and you’ll LOVE the power. Zunino should have most people’s eyes already thanks to his 22 home runs in 2014, but many will be terrified of his .199/.254/.404 line and 33.2 percent strikeout rate. Once upon a time, there was a guy who hit. 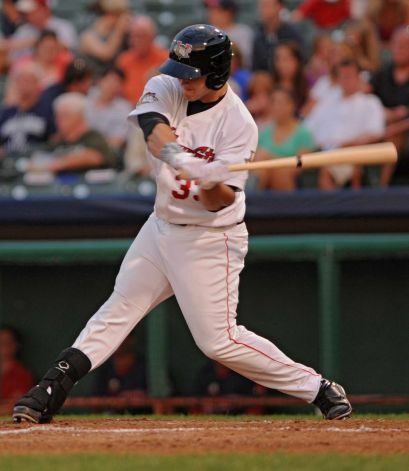 227 with 24 home runs and 56 RBI…that was the 2012-version of Mike Napoli, and, though Napoli took a few more pitches than Zunino has in his brief career, we need to remember that this kid will still be just 24 on Opening Day. 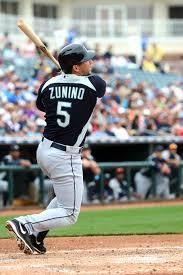 Zunino is slick with the glove behind the plate and can mash, so he’ll carve out a nice, long career. 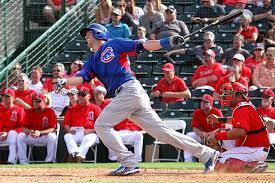 Get on board and watch him improve as he gains more big league experience. Offseason Overview: The Mariners had their third winning season since 2004 last year, and they had very little to do to keep things intact for another run, but they did make a few changes. The signed Nelson Cruz, fresh off of his 40-homer outburst in Baltimore, to fill their DH spot with a much-needed, right-handed power hitter. Seattle acquired Seth Smith from San Diego for power-armed, results-deficient Brandon Maurer, and they signed Rickie Weeks to become a super-utility type of player, likely to see a lot of outfield at-bats for the Mariners. The rotation added depth when J.A. Happ was acquired from Toronto for OF Michael Saunders. Several solid moves to improve the roster and the quality of depth, as Seattle tries to get over the hump and make their first World Series in franchise history. The Verdict: Seattle made some smart decisions this winter. They gave Cruz a four-year, $57 million deal, which could be a gamble given his age (34 on Opening Day), but he was the top offensive talent available on the free agent market for the team’s need. He’ll fit in nicely with Kyle Seager and Robinson Cano in the middle of the order. The rotation is still strong, as Hernandez and Hisashi Iwakuma provide All-Star level production while young arms like Paxton and Taijuan Walker round out the rotation with Happ (if he didn’t pitch himself out of a rotation spot). The Mariners are primed to strike, especially with a Josh Hamilton-less Angels club that has far more question marks than Seattle does heading into the season. While PECOTA was generous with a duplication of the 2014 record, it wasn’t generous enough. 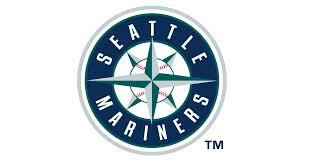 Seattle will win 90 or more games in 2015. The Detroit Tigers confused the world of baseball this winter when they traded right-hander Doug Fister to the Washington Nationals for Robbie Ray. Fister had three years of team control remaining, and he was coming off of two very good seasons (3.29 ERA, 1.19 WHIP) in Detroit. Ray was rated as the 97th best prospect prior to the 2014 season by MLB.com, but after the Tampa Bay Rays were able to get the haul that they did (including Wil Myers) for two years of control of James Shields, it was assumed by many that Fister would bring much more than a single prospect, particularly one that had posted most of his solid 2013 numbers while repeating High-A.